Forbes just today posted a new article about the CLA+ exam, and what it could mean for accountability in higher education. You can find that article here. It’s a relatively positive take on the CLA+ and what it could do. Here, let’s talk a bit about some of the potential issues with the CLA+ and how it could affect college education in the future. So, quick summary of what the CLA+ is: it’s a test created by the Council for Aid to Education, designed to be taken by college graduates close to or at their graduation to better assess what they actually know. Basically, it’s a bit like the SAT for high school students, but the SAT is at this point almost entirely about assessing students’ preparedness for college. The CLA+ is instead supposed to help judge how much students have actually learned at college, and in turn, assess students’ preparedness for jobs. A new employer could choose to look at a student’s CLA+ score, instead of a student’s GPA, to determine if the student knows his or her stuff. The Forbes article calls out many of the potential benefits. The CLA+ helps to account for grade inflation at colleges; it helps to hold colleges accountable, making sure they’re actually doing their jobs, and therefore potentially better allocating federal aid; and it’ll make sure that colleges are focusing more on preparing students for their future lives than just getting them to pay tuition for education that won’t actually help. Or, so goes the theory. But there are some potential downfalls here. Any student who is in the process of applying for college, or who has ever applied to college in the past, is well aware of the nature of standardized testing and how it reshapes that entire process. Much has already been written about how standardized tests like the SAT aren’t actually good predictors of whether or not the students will succeed in college. It’s been an issue for a while that high schools might teach to a standardized test, instead of actually teaching, and that’s a risk for any standardized test. And the prevalence of test taking strategies that are meaningless outside of the context of the test itself only further complicate the potential for any given standardized test to actually assess those who take it. So imagine that colleges, with the CLA+ test playing an ever more prominent role in their overall success, start teaching to the test. 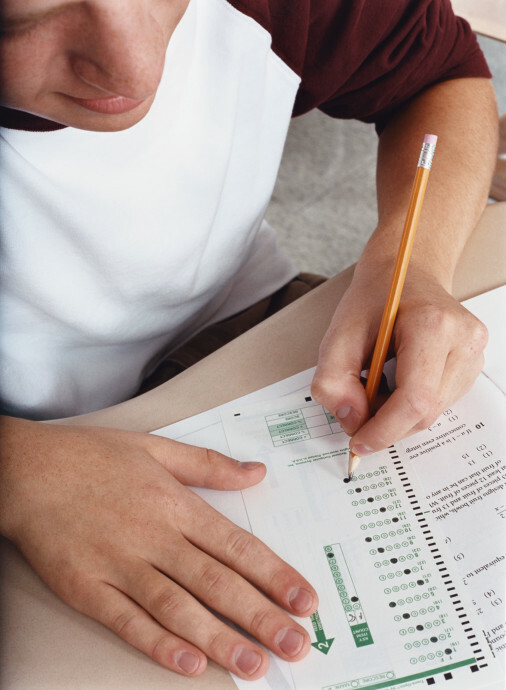 They start focusing more on whether or not students will come through the test with good scores than anything else. Potentially, if the CLA+ really does assess students’ preparedness for jobs, that could be a great thing! But it could also be dangerous, as it incentivizes a particular kind of education, and not necessarily what colleges in the past have been intended or expected to do. College has never been entirely about job preparedness. It’s certainly an important part! Especially today with rising college costs, when the expense of a college education has never been greater and it’s critical that students attend college with some idea that they can actually pay off whatever loans they incur to get there. But college is also about learning, growing, and developing. It’s about being exposed to new viewpoints, and coming to better understand the world. An emphasis entirely on job preparedness and acing the CLA+ could significantly detract from the greater educational purpose of college. Furthermore, imagine the greatest possible extrapolation of all this, which the Forbes article mentions briefly: a high school student could take the CLA+ examination and potentially do well enough that he or she would have the equivalent score of a college graduate, and therefore never need to attend college. That sounds great, right? The student would be able to successfully pass into the work force straight away, without ever having to incur any of the costs of a college education. For some students, that might really be a great thing. But the idea that fewer students would attend college and receive the intellectual benefits of a college education just because they can ace a test when they’re in high school is worrisome. There’s no clear answer here, and the CLA+ might be a great move that helps improve college for everyone, maybe solving many of the issues facing higher education today. But it also bears with it plenty of risk, and it’s worth it for students to be aware of how this trend might shape their futures, both in good and bad ways.